A One-of-a-Kind Pizza, Brand New to the Fundraising Market! PuffCrust Pizza is a one-of-a-kind Pizza experience. 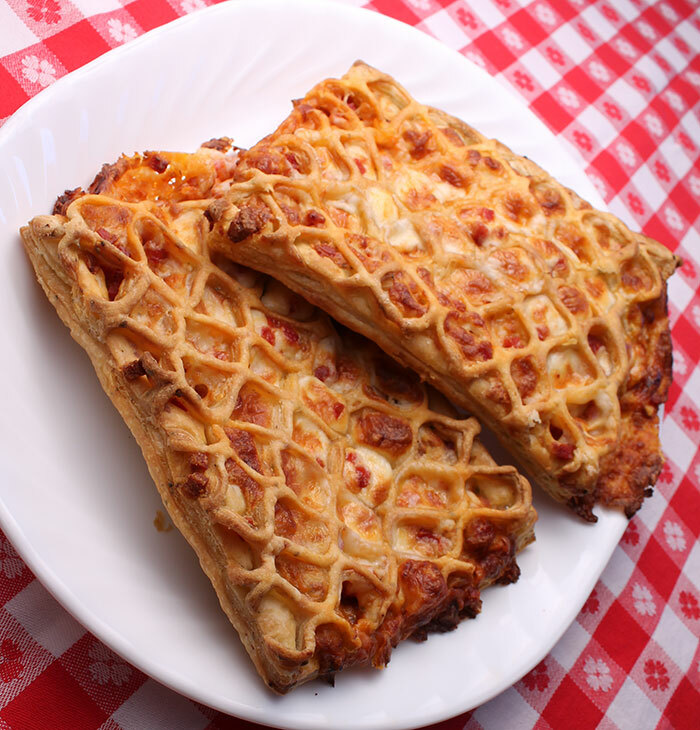 The artisan, croissant crust and unique lattice top is loaded with real cheese and delicious fillings making PuffCrust Pizza© a Pizza-lover's delight! One package of PuffCrust Pizza contains (2) individual pizzas for a total of 6 servings. PuffCrust Pizza is unique and different from so many other fundraising products because they are not available anywhere on the retail market. This maximizes the profit potential of your local fundraiser! 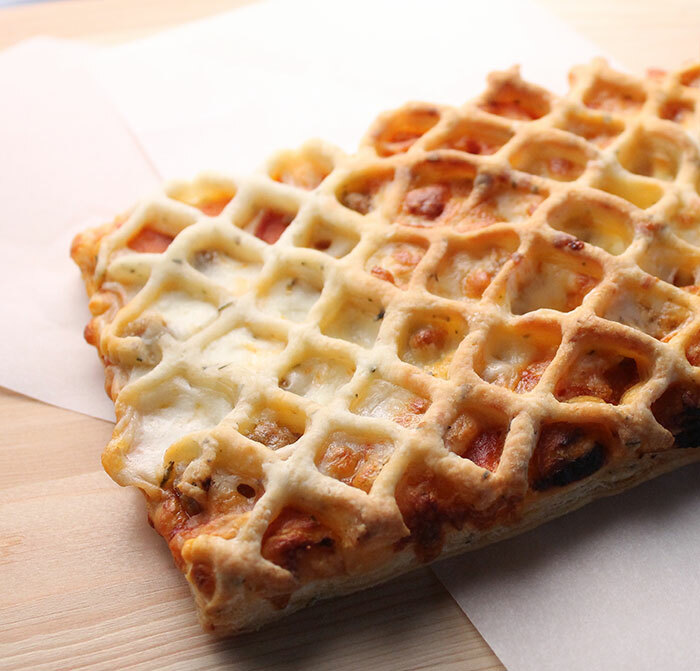 PUFFCRUST PIZZA IS CONVENIENTLY PORTIONED AND FREEZER-TO-OVEN EASY! No thawing, no rising overnight, no prior preparation required. The PuffCrust Pizza is ready for anytime you need a meal or a quick snack. 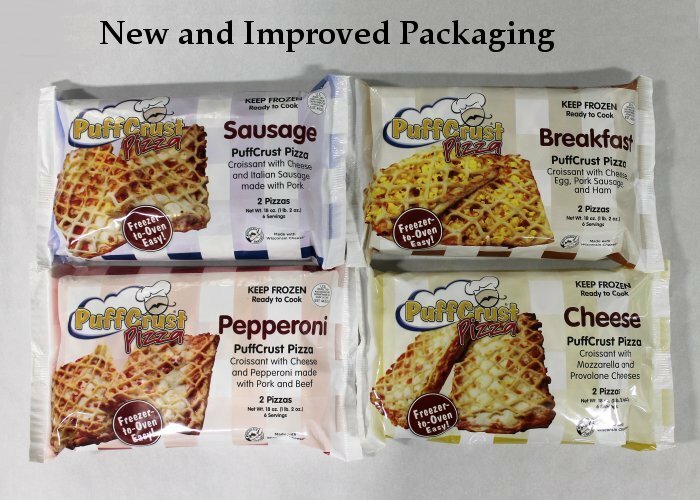 Each package of the PuffCrust Pizza product contains two personal pizzas, or six servings. Light and flaky artisan-style croissant crust combined with these wonderful fillings to create an irresistible treat! EXCLUSIVE TO THE FUNDRAISING MARKET! FLAKY BUTTERY CROISSANT CRUST IN EVERY BITE! When my daughters were in school they never offered anything like these. I bought these from my grand-daughter's school fundraising event and love, love, loved them! Wish I would have ordered more at the time. Had no idea they would be such a quality product!! I wish this product was available in stores!